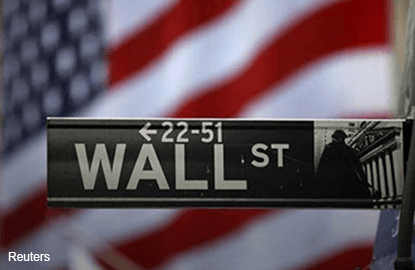 (Sept 3): US stock index futures were higher on Thursday but investors remained wary of taking big positions a day before the release of the monthly jobs report, which may be a critical factor in the Federal Reserve's interest rate decision. * The Fed has said it will raise rates when it sees sustained economic recovery. But while the labor market has strengthened, inflation remains below the Fed's 2% target. * Weekly jobs data, scheduled to be released at 8.30am ET (1230 GMT) on Thursday, is expected to show that jobless claims increased by 4,000 to 275,000 last week. * Near-zero rates allowed the stock market stage a spectacular bull-run since the financial crisis. * Some investors believe that the bout of recent market volatility caused by concerns about China's slowing economy might force the Fed to hold back on a rate hike until the end of the year. The Fed next meets on Sept 16–17. * US investors have endured over two weeks of unusually volatile trade that left the S&P 500 with its biggest monthly drop in three years in August. * In other data to be released on Thursday, trade deficit is expected to have narrowed in July to $42.4 billion from $43.8 billion in June. * Global markets got some respite from the recent turbulence as Chinese markets remain shut on Thursday and Friday due to public holidays. * Joy Global shares were down 4.3% at $21.17 in premarket trading after the mining equipment maker reported a fall in quarterly profit and cut its full-year forecast. * Tesla was up 2.7% at $254.53 after the company said it would begin delivering its first luxury electric crossovers, the Model X Signature series, on Sept 29. * S&P 500 e-minis were up 7.5 points, or 0.39%, with 149,792 contracts traded. * Nasdaq 100 e-minis were up 17 points, or 0.4%, on volume of 25,919 contracts. * Dow e-minis were up 64 points, or 0.39%, with 20,329 contracts changing hands.